Deputy Foreign Minister Hossein Amir-Abdollahian (pictured) has issued a strong statement of an Iran-Russia alliance over Iraq. The Iranian-Russian alliance has been vital in propping up the Assad regime in Syria in its 40-month conflict, providing military and economic aid, political backing, and propaganda support and advice. 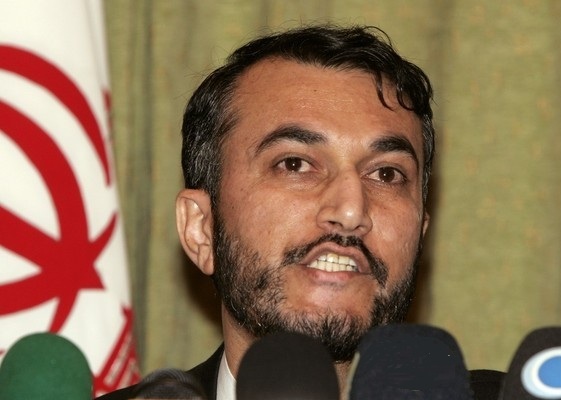 Amir-Abdollahian expressed support for the ruling party in the Iraqi Government; however, he indicated that Tehran is not committed to the retention of Nuri al-Maliki as Prime Minister. If Maliki is introduced as the prime minister and this agreement is reached inside Iraq, we will strongly support him; and if any individual other than Maliki is elected and approved within the framework of the recent election’s outcome, he too will be supported by the Islamic Republic of Iran. On another diplomatic front, Amir-Abdollahian is presenting Iran’s position on Iraq on a tour of the United Arab Emirates, Kuwait, and Oman from Monday. Journalist Marzieh Rasouli has been sentenced to two years in prison and 50 lashes. Rasouli, an arts and culture reporter for leading reformist outlets such as Shargh and Etemaad, was among a group of journalists detained in January 2012. In a statement posted Monday on Twitter, Rasouli said she was convicted of “propaganda against the establishment and disruption of public order through participation in gatherings”. The sentence was approved by an appeals court. As4 #nuclear issue, the other side is pressuring #Iran 2be content w/the least. In negotiations country’s #future needs shud be considered. Let everyone know that I support & approve of the govt of Mr.#Rouhani. I do my best to help the govt & I #trust its high-ranking officials. More than 900 professors at Iranian universities have issued a statement expressing support for Science and Technology Minister Reza Faraji-Dana, who is being threatened with impeachment by some MPs. The Rouhani Government has promised to correct claimed abuses of the university sector by the Ahmadinejad administration, restoring some professors to their posts and reviewing the cases of excluded students. In a step back from the Rouhani Government’s engagement of Saudi Arabia, Deputy Foreign Minister Hossein Amir-Abdollahian said on Sunday that Foreign Minister Mohammad Javad Zarif will not visit Riyadh in the near future. “At the present time, a visit to Saudi Arabia by the foreign minister is not on the agenda,” Amir-Abdollahian told State news agency IRNA, although he said that Tehran would be glad to host Saudi Arabia’s Foreign Minister Saud al-Faisal. Earlier this year, Iranian officials indicated that a visit by Zarif, possibly to be followed by President Rouhani, was being discussed. Former President Hashemi Rafsanjani and King Abdullah of Saudi Arabia reportedly exchanged back-channel messages. In May, the Saudi Foreign Minister said Riyadh had invited Zarif to attend June’s meeting of the Organization of Islamic Cooperation in Jedda. However, Zarif said he could not attend because of Iran’s nuclear talks with the 5+1 Powers, and the Saudis have been cautious about the level of interaction with Tehran. In his interview with Iran’s Arabic-language Al-Alam TV, Deputy Foreign Minister Hossein Amir Abdollahian dismissed reports that Tehran sent Russian-made SU-25 Sukhoi fighter jets to Iraq. Russia has confirmed that it despatched 12 SU-25s last month in response to a request by Iraqi Prime Minister Nuri al-Maliki; however, Western media have claimed that Iranians have supplied and flown the jets. An Iranian pilot was killed in Iraq last week, although it is not clear if he died in flight or on the ground. Amir Abdollahian said Iranian advice on fighting terrorism was being given through diplomatic channels. PreviousIraq Daily, July 7: Airstrikes on Insurgent-Held Mosul — But Who Attacked?